Hello Friends, We have a new opportunity for our Junior riders in the discipline of Fox Hunting. Junior North American Field Hunter Championship for riders 18 years old and younger Fox River Valley Hounds will host a qualifying meet to go to the finals Oct. 9th in conjunction with our annual Pony Club meet. Juniors looking to qualify for the championship must have fairly hunted with a recognized hunt and understand the sport and traditions. Our qualifying meet will be in accordance with JNAFHC rules and open to all qualified juniors 18 and under in our region. We welcome candidates from Wayne DuPage Hunt and Millcreek Hunt as well as other experienced juniors in the area. This is not limited to Pony Club members, however fox hunting knowledge and experience is required. Recommendation by a Sr. Member of a MFHA recognized Fox Hunt is required. Parents, Pony Club DCs and Trainers are encouraged to coordinate and help facilitate. Juniors will meet at 9am to assign pinnies discuss rules and procedures. The stirrup cup begins at 10:30am and hounds move off at 11am. Jr. candidates will wear pinnies and arm bands provided. Judges will be local seasoned fox hunters on ground and mounted in the field. There will not be a 2nd Field category. 1. Junior Riders will be judged on respect and courtesy beginning with prepared horses and riders, proper turnout, timeliness at the meet, courtesy and respect at the stirrup cup. Recognition of Masters, Huntsman’s, Secretary. Understanding of respect and hierarchy in the hunt field. 2. Riders will be judged on partnership with their horse in the field, appropriate match and ability of rider to manage their mount in varying situations. 3. Following the meet FRVH we will have a Handy hunter obstacle course appropriate for each division. Juniors as well as Senior riders are welcome to school the obstacle courses after the meet. 4. At the tea judges will discuss positives of junior riders, any negatives will be addressed in general as not to shame or discourage individual candidates. Sr. riders may enjoy being part of the dialogue. · Friday night arrivals (optional) and pizza party. · Saturday night party with horn blowing and whip contest, dinner and dancing. 12 juniors from each division will be chosen to compete in an appropriate handy hunter course, i.e. open/close gate, get off horse, drop rail walk over on ground with horse, mount back up, cross water, and other obstacles. The fee to compete is $75 this includes our qualifying meet and any other qualifying meets this season as well as the championship entry fee. ​Everyone is Welcome to come to the Puppy Show! This year the Foxhunting Team will compete in the Live Oaks Hounds Challenge and all participants will go for their USPC Foxhunting Certificate. Requirements for both activities can be found below. Live Oak Hounds Challenge: A way to encourage clubs and their members to become involved in the sport of Foxhunting. Clubs who get the most members who have not hunted before, or have hunted on a limited basis, to participate in three or more hunts during the season are awarded cash prizes. Click here to access full details on the Challenge. The Challenge runs September 1 thru March 30. The Foxhunting Committee wants to recognize our members that participate in specific Foxhunting activities. USPC Pony Club members will be recognized for their knowledge of Foxhunting. The award is separated into unmounted and mounted sections. The unmounted portion can be completed individually and is required as part of the mounted section. Applications can be submitted at any point in the year. ﻿Click here﻿ for the application. Awarded by the Masters of Foxhounds Association, this recognition will be given each year to any young person who hunts five times and is so acknowledged by a Master. No examination is given and no requisite skills are required - just having had the experience of participating in hunts. Any one under the age of 18, who participates in foxhunt is eligible, regardless if they are a member of Pony Club or not. 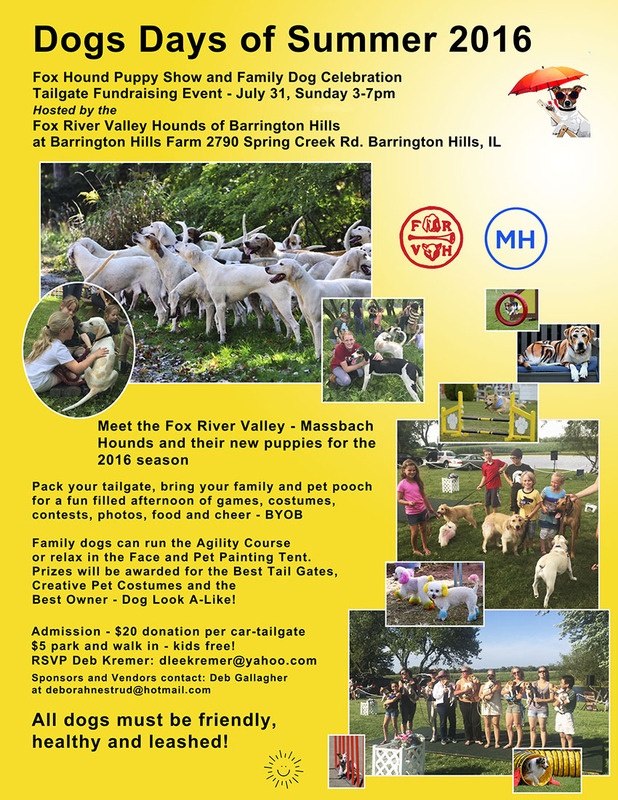 So, bring your friends and introduce them to the sport of foxhunting! The MFHA Board of Directors will present participants with a pin, certificate, a one-year subscription to Covertside, the Magazine of Mounted Foxhunting, and their names will be mentioned in an honor roll at the annual meeting. Visit the MFHA Web site for more information and to find a hunt in your area. The Masters of Foxhounds Association of America is offering a unique opportunity for one or two individuals, the opportunity to apprentice with one of the nation’s top professional huntsmen. This is a wonderful opportunity for the right individual. The majority of horse enthusiasts in America do not realize that there is a career in foxhunting, but there is, and it can be a fun and exciting way to earn a living. For the few young people who do realize it, most are unsure of how to get started. The MFHA and the USPC are working together to get the word out that an apprenticeship in the field of foxhunting has been started. The MFHA feels that the education and riding credentials given by the USPC would be the ideal foundation needed to be a high quality hunt professional. This is a serious effort to enlighten some of the graduating class and future graduating classes of Pony Club members, that there are jobs in mounted foxhunting. To be considered the candidate must be a C-3 Traditional level or better and 18 years old or older and have the recommendation of the local DC/CA. We will choose one or possibly two candidates a year. Candidates will be chosen by the Professional Development Committee through riding and interviews conducted at a camp, time and date to be announced at a later date. The first apprenticeship will start May 1st 2015 and will be one year long. During that year the apprentice(s) will be employed by the hosting hunts and will receive on the job training by one of the top Huntsmen in North America. They will also have a rigorous study program put forward by the MFHA. This study program will be supplemented by hunt and kennel visits and by attending hound shows. They will work extensively with a representative of the MFHA who will mentor the apprentice and implement the study program. The mentor will make periodic visits and will communicate with the huntsmen and masters of hosting hunt as well as the apprentice. During the term of the apprenticeship if the apprentice fails to fulfill his duties at the hunt, or acts in anyway unbecoming of a hunt professional the apprenticeship will be terminated. If the hunt for any reason does not live up it its end of the deal the apprentice will be relocated to a hunt more in his nature. At the successful completion of the yearlong apprenticeship the mentor and the MFHA will aid and assist the apprentice in finding a job in the business. The mentor will continue to be available for as long as necessary to help the candidate make a smooth transition to the position of Whipper-in. Further information and applications will be available at a later date. If interested contact Wayne Quarles, to be added to the list of people interested in further information. From time to time US Pony Clubs or another Pony Club country will host an International Exchange for Foxhunting. These exchanges are a wonderful opportunity for Pony Club members to meet other young people from across the globe that share their passion for horses and riding. And an amazing chance to hunt in some truly spectacular countrysides! The next Foxhunting Exchange is scheduled for January 31 - February 12, 2013, in the United Kingdom. Click here for full details and applications materials. Deadline for the application is December 15, 2012. Click here to view past Foxhunting Exchanges. Hunter Pace is for the team to complete the course in a set time as outlined below. Spring Creek Forest Preserve behind the Barrington Hills Park District Riding Center at 361 Bateman Road in Barrington Hills. There will be optional jumps along the course. (faster pace). The trail ride division will simulate a typical Riding Club trail ride in Barrington Hills (walk/trot). The completion times will be kept secret until after the competition. Teams in each division will attempt to complete the course closest to the respective times. Teams will go out individually at pre- assigned times. CHECK POINT: There will be one check point of 3 minutes, pending weather; teams missing the check point will be disqualified. TROPHIES: 1st through 5th place ribbons will be awarded to the winning teams in each division. There will also be a prize for the best dressed team! STARTING TIME: First groups go out at 9 AM, you will be assigned a start time when you register. Registration, if you have not pre-registered, at 8AM. REGISTRATION/QUESTIONS: Pre-register now with the attached form for preferred start times or at the event. Registration is $25 per rider or $50 per family prepaid or $40/$65 if registering the day of the event. There will be lunch and awards presented after the competition. Contact Lorelei Benkendorf: 847.387.3681 lbenkendorf@comcast.net with questions. *Entry Fees the day of the event are $40 per person/$65 per family Refunds will be made only if pace is cancelled by RCBH . Liability forms must be signed by each rider and will be available at the events.